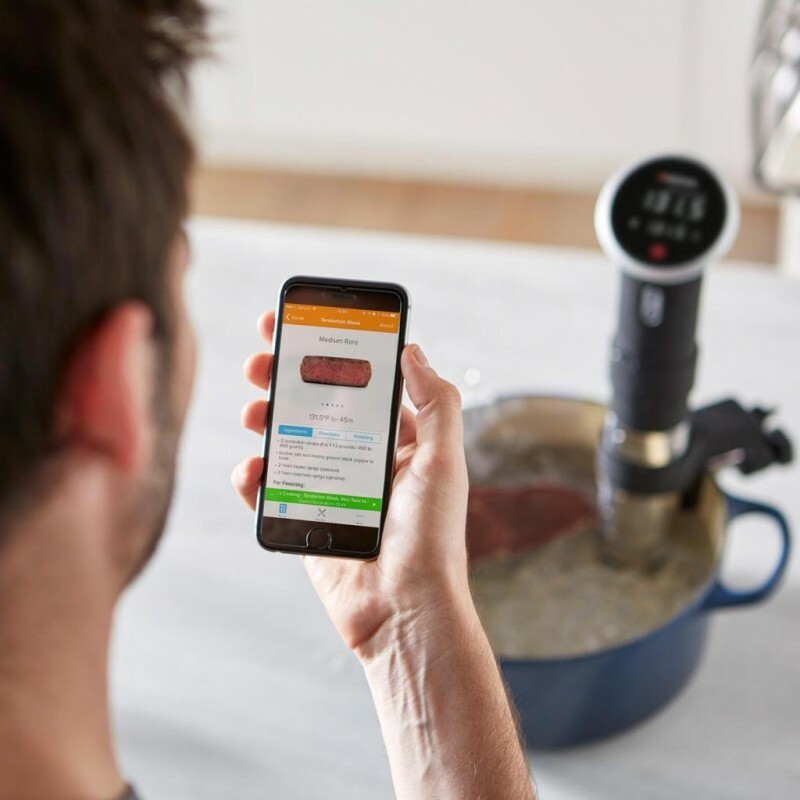 This suvee machine offers you the opportunity to cook your meals while busy with other things thanks to its Bluetooth technology that gives you the opportunity to control it remotely. 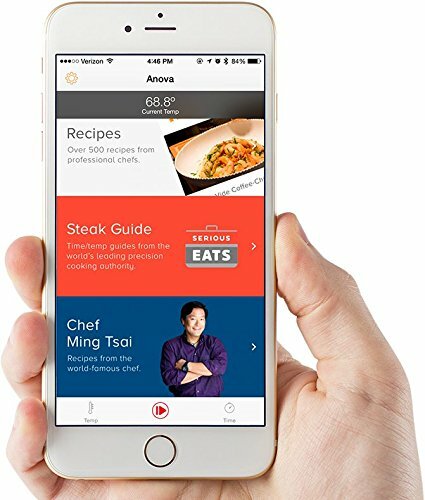 You do that through the Anova app download on your phone where you will also get the opportunity to interact with thousands of recipes and tutorials to improve your cooking experience. It will also send you timely updates which you can follow from the phone application. 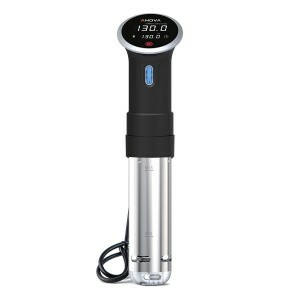 Since it is made of stainless steel, you will have an easy time cleaning it. 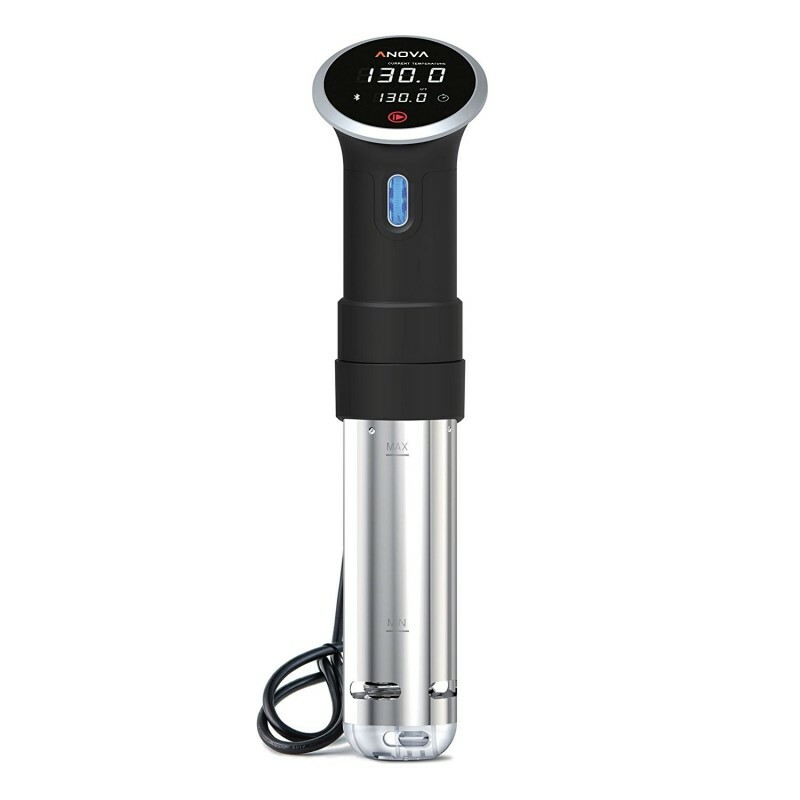 However, it is quite hard to set the timer from the LCD interface so you are better off using the Anova app. 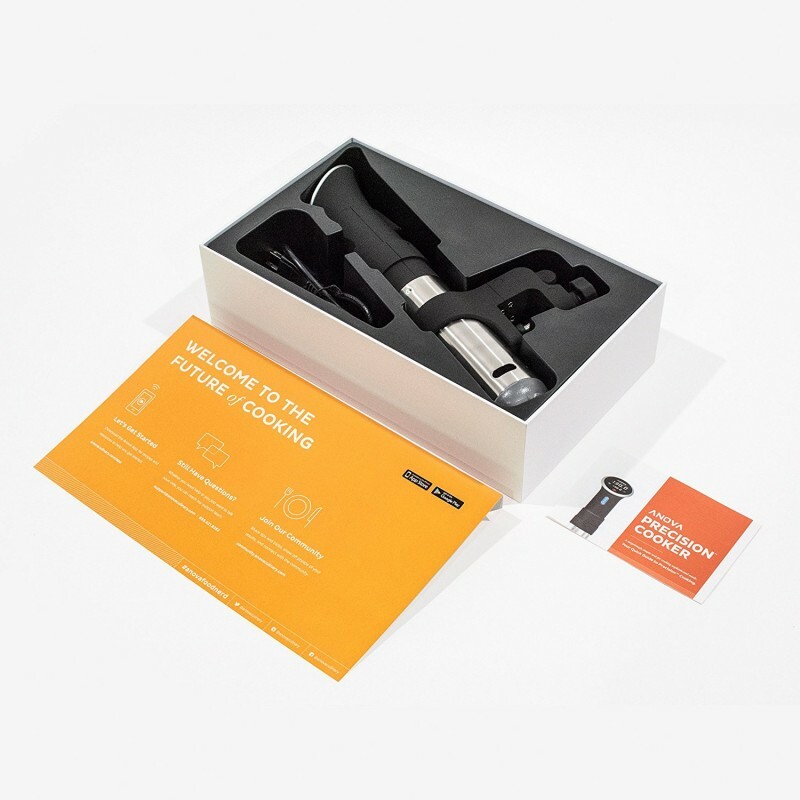 You can control it remotely from your phone since it comes with Bluetooth connectivity. 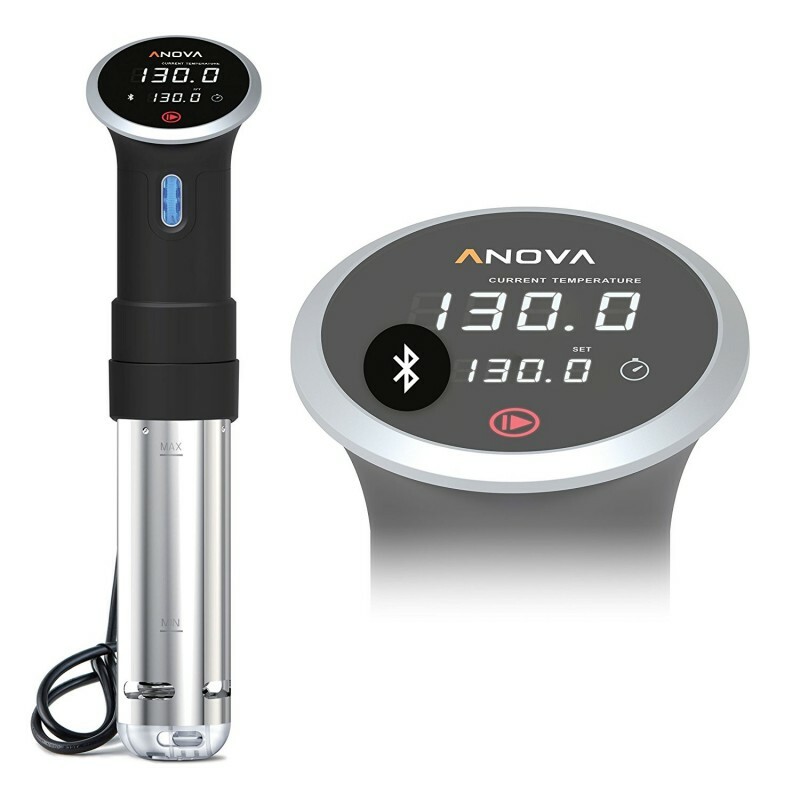 Its Anova App offers you thousands of recipes and tutorials to ensure you get the best results. 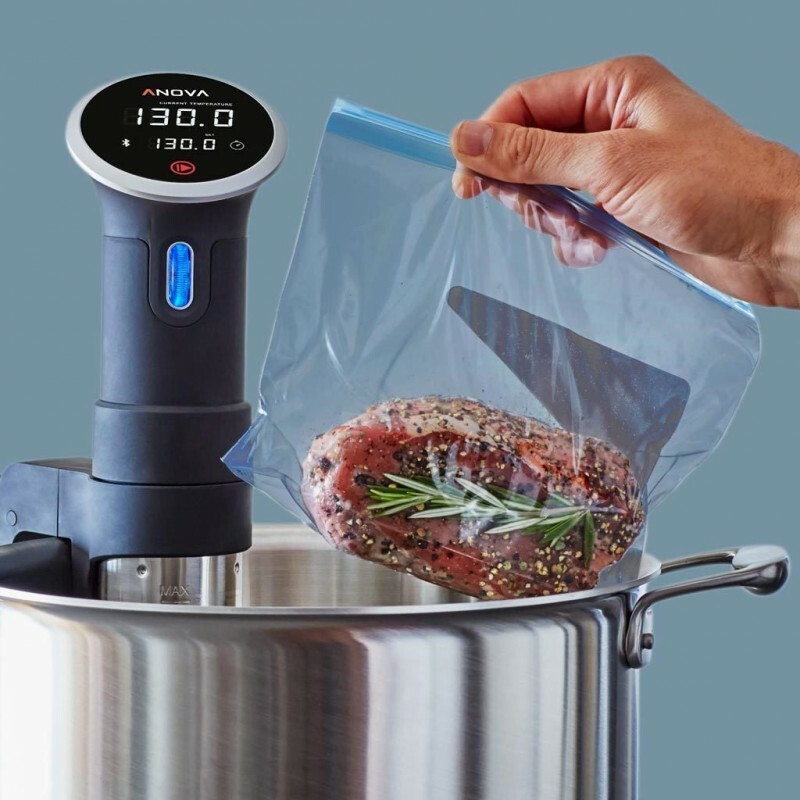 You will have an easy time cleaning it since it is made of stainless steel material. 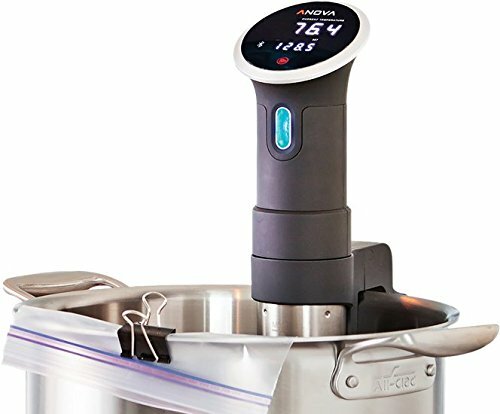 It sends you notifications on the progress of your cooking. 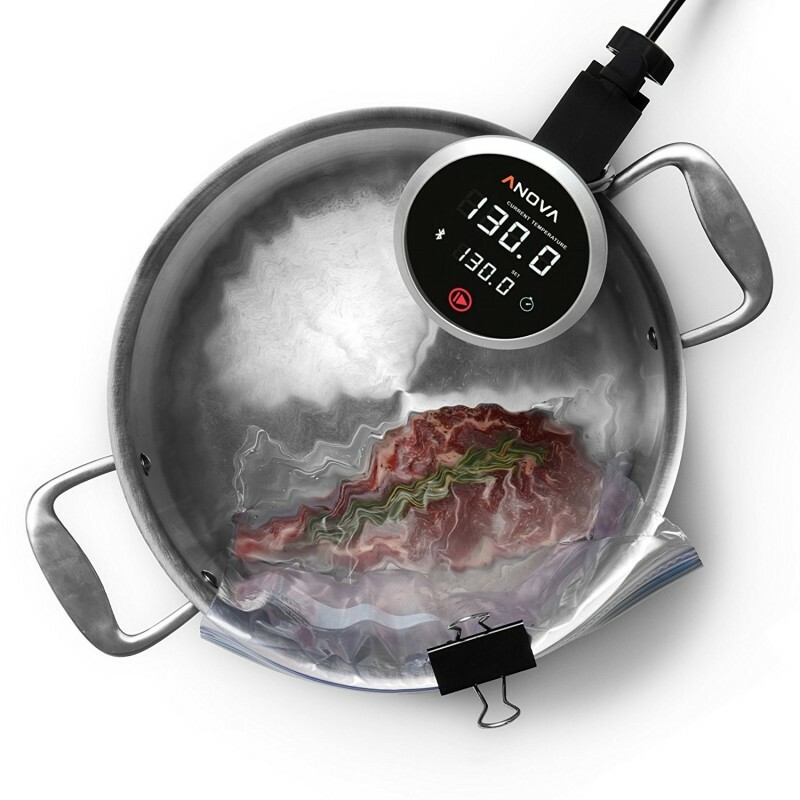 You can set it to your preferred time and temperature settings from its LCD interface or app. It can be adjusted to fit into containers of different sizes. Its timer is quite hard to set using the LCD interface.